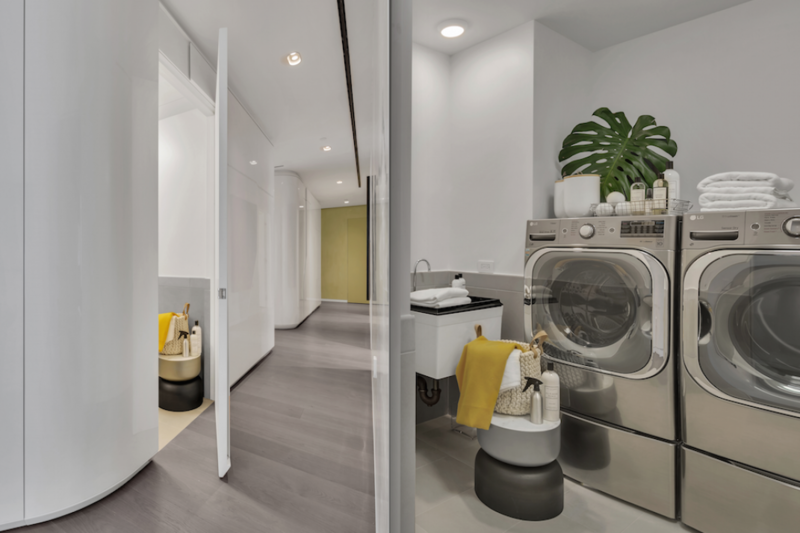 At late "starchitect" Zaha Hadid's newly minted 520 West 28th Street, a four-bedroom, four-and-a-half bathroom condo (priced at $15 million) includes a futuristic interior structure—dubbed "the object"—that cleverly conceals spaces such as the powder rooms, pantries, closets and—yes!—a laundry room, complete with LG washer-dryer and a sink. 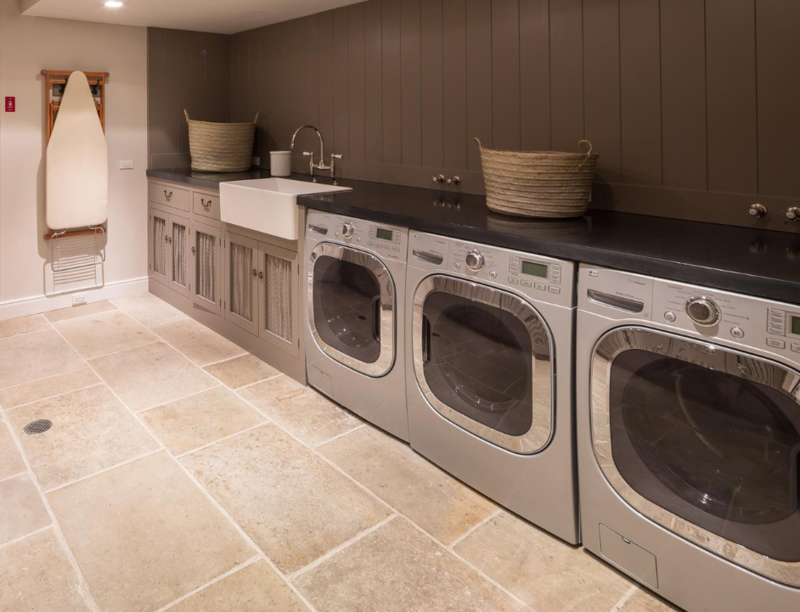 A private laundry room is a bonus any time of the year but possibly extra appreciated in summer when sweaty, smelly clothes pile up on a daily basis. 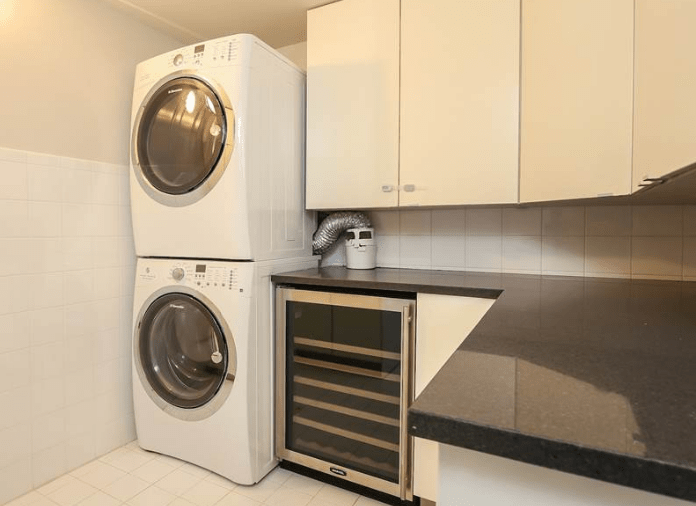 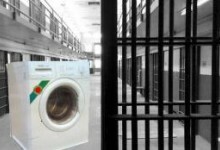 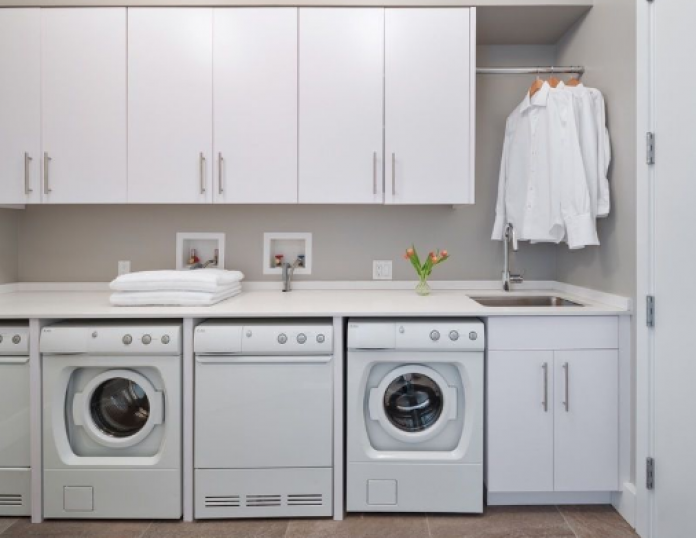 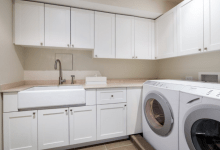 Here, six swish laundry rooms that make this routine task somewhat more bearable. 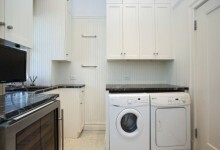 For the family that generates a lot of laundry, this three-bedroom, three-and-a-half bath gut-renovated home at 281 West 4th Street in the West Village (for rent at $23,000/month) offers a laundry room with an extra washer for added convenience. 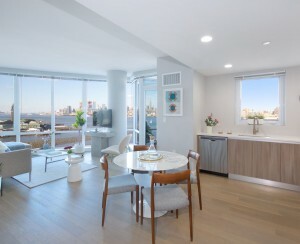 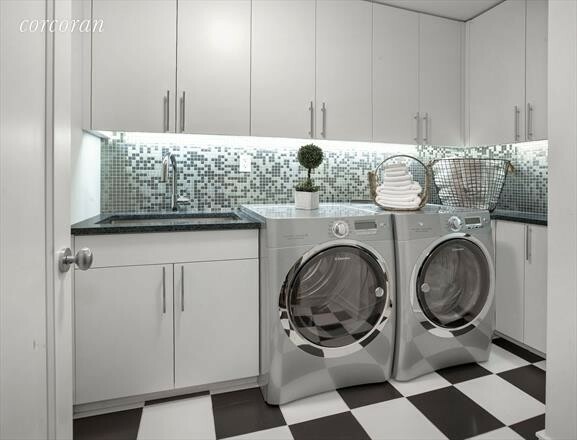 Not to be outdone, this four-bedroom, four-bath condo at One Brooklyn Bridge Park—aka 360 Furman Street—(listed at $4.895 million) features a laundry room outfitted with double Asko washers and dryers, not to mention a large sink, for delicates that need cleansing by hand. Also at 360 Furman Street, a three-bedroom, three-and-a-half bath condo (on the market for $5.495 million) includes a laundry room with cabinet and counter space, not to mention a wine fridge, so you can sneak a nip while fluffing and folding. Adjacent to the living room of this three-bedroom, four-bath co-op at 230 Central Park West (asking price: $3.725 million) is a full service laundry room with a washer/dryer, cabinets and open shelving for storing all your cleaning paraphernalia. 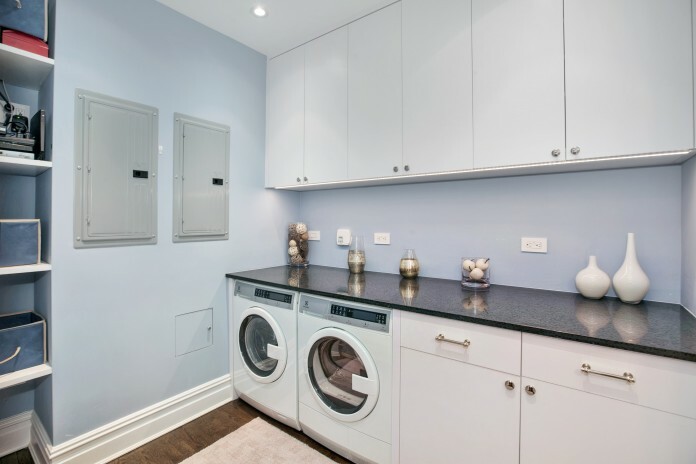 Finally, sandwiched between two of seven bedrooms within a townhouse at 416 West 51st Street (yours for $13.5 million) is a fully vented laundry room with side-by-side washer and dryer, a sink, numerous cabinets and a lovely tile backsplash.